The work of Scotch Rutherford explores dark corners between the bright lights. Born in Boston, he has lived on both coasts, and three continents. A veteran of the Las Vegas casino industry, he has worked as both a slot floorman, and as casino security. An actor, director, screenwriter and author; his fiction work has appeared in Pulp Modern, The Flash Fiction Offensive, Pulp Metal Magazine, Carnival, Yellow Mama, Big Pulp, and All Due Respect. He currently resides in Los Angeles. Action and Adventure, Intrigue and Danger! All in one story for only 99 cents! 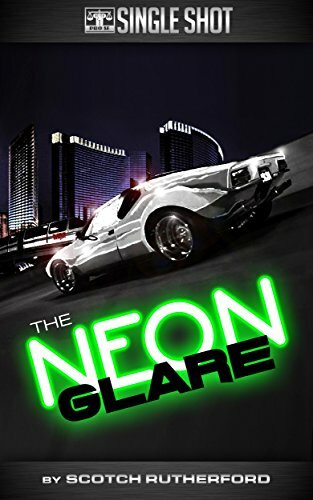 Pro Se Productions announces its latest Pro Se Single Shot digital release- The Neon Glare by Scotch Rutherford! Nick works for a casino. He's an insider. He greases palms. He uses his fists when he has to. He knows the players & he doesn't need a score card. He knows the only way to truly win is avoid playing the game. But some games you can't avoid. Some games--& some dames--seem to know how to find you. Nick gets in over his head with a multi- millionaire "whale" & a femme fatale with more than one trick in her garter belt. Get Caught in The Neon Glare, a Pro Se Single Shot by Scotch Rutherford. From Pro Se Productions.